The Carnegie Religion and Media Program in the S.I. Newhouse School of Public Communications will host Asma T. Uddin for a public conversation, “Feminist, Muslim and on the Web: A Devout Woman’s Journey in Reclaiming Her Faith and Founding a Magazine” on Monday Oct. 3. Uddin will be interviewed by Gustav Niebuhr, associate professor and director of the Carnegie Religion and Media Program, beginning at 10:35 a.m. in the Joyce Hergenhan Auditorium, located in Newhouse 3. The event is free and open to the public. She will also share her work on both Muslim gender issues and religious freedom for people of all faith traditions during a luncheon discussion from noon-1 p.m. at Hendricks Chapel that day. A vegetarian lunch is free and available to all who RSVP to Elizabeth Cronk at eacronk@syr.edu by Thursday, Sept. 29. 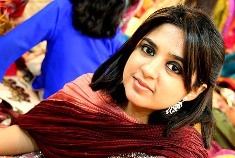 Uddin is founder and editor in chief of Altmuslimah.com, a web magazine featuring compelling commentary on gender in Islam. She is also an international law attorney at the Becket Fund for Religious Liberty, a Washington, D.C.-based public interest law firm protecting the free expression of all religious traditions, and a legal fellow at the Institute for Social Policy and Understanding. The Carnegie Religion and Media Program is affiliated with the Religion and Society Program in The College of Arts and Sciences.